It’s been used on a parts delivery truck night and day for the last 13 years; always on the truck, always deployed. The top of the net has bleached to a blue and bluish purple from constant UV exposure. 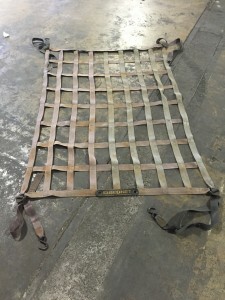 The straps and underside of the net retain the original dark gray color. A stitch has popped. A strand of webbing was cut into by a sharp object half a dozen years ago; now the cut strand is frayed, but it has never failed. While the net is still works as designed, it is finally being replaced. At current list price, this Bednet® cost less than $10 a year. Not a bad ROI. 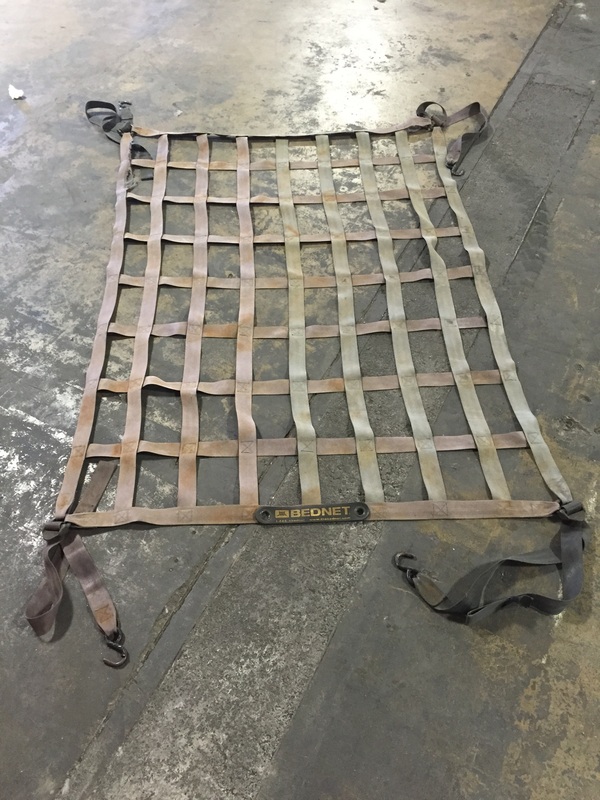 Now you know why we don’t skimp and use only automotive seatbelt for our restraints; for durability and safety. 13 years is certainly a long time to wait on a re-order! We wouldn’t have it any other way! This article first appeared in LinkedIn Pulse on 12/7/15. View the original article.